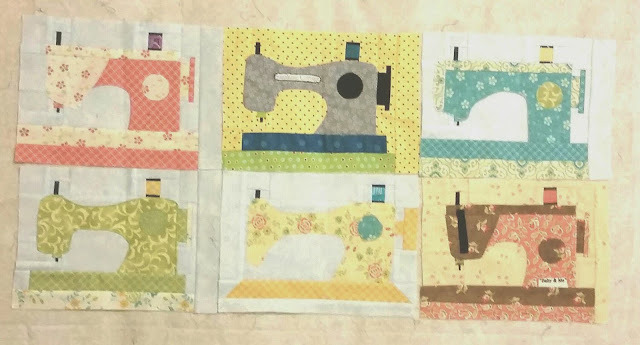 I got the last of my sewing machine blocks in the mail from Ann yesterday!! Her's is the one on the bottom right. Doesn't it look great with the rest of the blocks?? I'll probably get them sewn together tonight before working on the Union Jacks. What are you working on?? Linking up with Freshly Pieced for WIP Wednesday. These are so cute. Did they follow a pattern? I can't believe how well your blocks go together! You are a lucky lady.